I know both cars use the same engine but there are differences in the turbo's. Also, would it be possible to swap the C63 turbo's with the E63 turbo's? I'm guessing with a remap this would be quite a beast as I've seen E63 remaps with ridiculous power gains on the hp and torque band. Currently running at 611bhp but more might be better? No clue why I would do this but I'm very curious. I hadn't heard about any differences in the turbos. If they had different turbos, I'd think they'd get a new engine number, but both are listed as the M177. I'd guess the only difference is the tune, but I could be wrong. The versatile AMG 4.0-litre twin-turbo V8 engine in the E 63 S 4MATIC+ takes peak performance to a new level at 450 kW (612 hp). Maximum torque attains a new best value of 850 Nm. It is available over a broad engine speed range of 2500 to 4500 rpm and so provides a feeling of effortless superiority in every accelerator pedal position. A sprint from zero to 100 km/h is absolved in 3.4 seconds, and this dynamic acceleration only ends at the governed top speed of 250 km/h (with AMG Driver's package: 300 km/h). The E 63 4MATIC+ is rated at 420 kW (571 hp) and has 750 Nm of torque. This variant accelerates to 100 km/h in 3.5 seconds. So the difference is moving to a Twin Scroll turbo setup, larger intercoolers, and different pistons. I would presume that both that of the C63 and E63 are forged, so unless they changed the pistons for the sake of compression, perhaps they went with a slightly stronger alloy given the engines higher factory output. Simple answer for those wondering would be that you would purchase the manifolds and turbos from the E63's M177 or GTR's M178 and install them with an ECU recalibration and you could gain a lot more power. You also may need more fuel as I do not know the volume of the stock injectors. Honestly wish to get more detailed engine specifications for the M17X series engines. The GTR does not use twin-scroll turbos/manifolds, that was misinformation. Only the E63S has this setup, though I'm sure the updated S63 will have it as well once it comes out. And yes, theoretically the twin-scroll manifolds and turbos should bolt right onto a C63 - you will just need software. Last edited by AlexZTuned; 06-20-2017 at 04:32 PM. 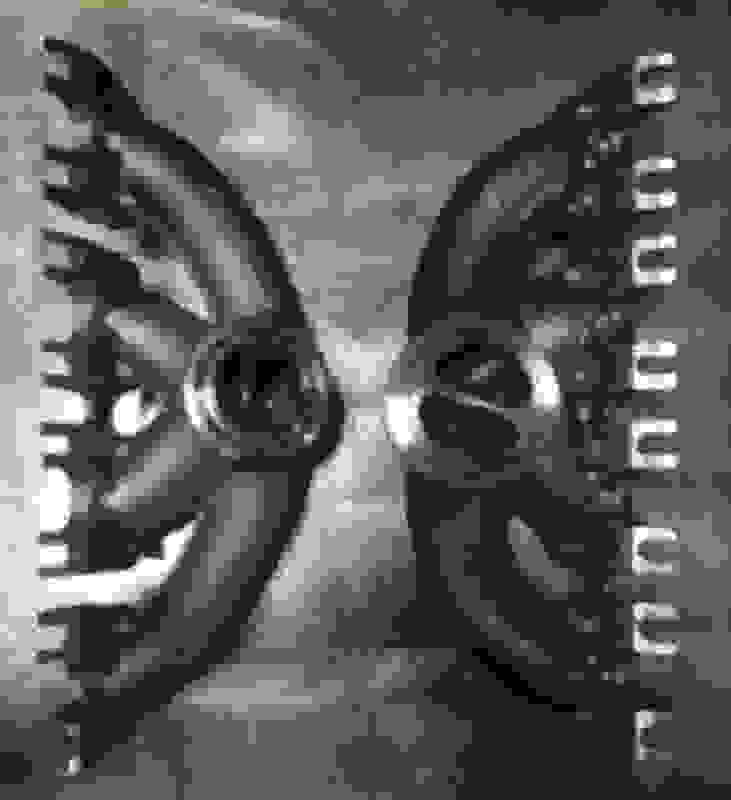 I would still favor a twin-scroll-setup, as larger mono-scroll-turbos will make the turbo-lag even worse. The stock M177 in the C63S does need some time to spool up its turbines below 3.000 rpm - and as my car is a daily driver, that spends 99% of its time at those rpms, I would definitely keep that as close to stock as possible. i know the manifolds are split pulse but I can't find anything on the turbos, I know the factory units are made by Borg Warner (B03G). Maybe someone on here knows someone with a gtr or e63 and can snap a pic of the data plate on the turbo for me? E63/GTR turbos would be great daily street upgrade...I can get complete for around 12k euros. E63 are the same as GTR. You would need turbos, manifolds, lower heat shield, coolant hoses. Even better with new wheels in those housings. I have a set of GTR twin scroll manifolds on my C63s. . I didn't use the GTR/E63 turbos, I went bigger. The manifolds are larger tube diameter and twin scroll pairing. Although i have not taken advantage of twin scroll feature, the castings were needed for my fitment. The stock c63 manifolds are very small at v-band, as well as turbine housing, causing tremendous EGT's and ultimately limiting power. I changed the GTR v-band flange to accept larger BorgWarner EFR's. Currently stuck at 800hp on 91oct, because of stock in-tank fuel pump output and map sensor limitations. New pumps are in the works....along with drop-in MB 4bar map sensor. Last edited by power-technik; 06-23-2017 at 04:20 PM. Just so that there isn't further confusion, this is an E63S manifold, not a GTR. The GTR does NOT use twin-scroll turbos and manifolds. They use modified single scroll turbos. So the GTR uses single-scroll turbos/manifolds like the standard M177's, but with a larger machined compressor wheel, modified wastegate, and higher boost. So...whatever became of this? Anyone else try this route? someone gets it lol. Impressive, more so then the pure upgrade imo do to less turbo lag. Still waiting on an upgrade kit for the c63 or jumping ship. The throttle response would be some much better with twin scrolls on this car it would be stellar. How has you research and development progressed. Are you developing a kit to sell as an upgrade? can you confirm that you have fitted GTRtwin scroll manifolds but fitted larger single port turbos and not twin screw turbos??? Where can the twin scroll manifolds be purchased from? Early tuning by DME on the E63S yielded 656 RWHP. Flash only. If there is a reliable way to swap the twin scrolls from the E63S to the C63S it would be an absolute monster. Easily 700+ WHP with a refined tune and DPs. All we need is someone to develope Aftermarket twin scroll exhaust manifolds. I dunno if fuel is gonna be a limiting factor at that point, but you're unlikely to only make 50 more hp with upgraded turbos. If there's adequate fuel, you should be able to make a lot more than that. The twin scroll isn't for more power (peakwise); it's for more power under the curve (greater usable power = maintaining super responsive low end torque while still making big HP #s). A) Development isn't going to be cheap. C) As power-technik mentioned, all you need are the E63 BW EFR turbos, twin scroll manifold, lower heat shield, and coolant hoses. It should be a fairly straighforward swap. Then the ECU tune for the power, and TCU tune, reprogramming of the solenoid control, and increasing pump pressure to raise torque capacity. Last edited by FDNewbie; 10-24-2017 at 05:09 PM. You are all making a lot of sense. Anyone have done this yet? Interesting for MB to make twin scrolls on the v8 like this. It doesn't look beneficial. It would need cylinders from each bank feeding the scroll to actually have benefits just like the BMW engines. I think this is more for the displacement on demand the E63 has and the C and GT dont. Naturally a twin scroll housing will be physically larger but I think the flow isn't what the eye sees. Plus it seems like doing this requires a lot of little changes such as modifying downpipes and stuff. Err no, the E63 is a wet sump M177 4.0L just like the C63. Only the M178 4.0L engines in the GT's have a dry sump. The E63 does have different pistons, air intake, intercoolers, and a twin scroll turbo setup. I'm fairly certain the heads are the same as well, unless someone posts measurements with a caliper of the cylinder head intake and exhaust ports on a E63 vs. C63. I'm actually curious about that, I don't think they're any different. Did someone really complain about a C63 having turbo lag?? Lol. Granted I have a C63s and open intakes which makes a noticeable difference in throttle response and “peppyness” of the car, but even with the stock intakes the car is still really responsive. These little snails spool instantly compared to any decent sized precision turbo. Problem is the performance aftermarket for these cars is so limited...you only have exhaust, tunes, piggybacks, a few intake and a few turbo options. That’s it. These cars are really just meant to be lightly modded, driven and enjoyed imo. They will never be high horsepower freeway monsters or fully built feeling crushers. Yes, well if you were used to driving a normally-aspirated manual transmission, then I do think you would be able to detect some lag. Whether it's the transmission, the turbos, or both I cannot say: but there is some lag IMHO. I wouldn't say it's a problem - just very different than what I was used to.